Dusty pale golden amber color. Muted, savory, earthy aromas and flavors of omelet, turnip, and orange slice with a satiny, crisp, finely carbonated, dryish medium body and a tingling, amusing, brisk finish evoking notes of greens, earth, and orange pepper finish. A crisp and refreshing very sessionable earthy ESB that is a nice American nod to the style. Bottom Line: A crisp and refreshing very sessionable earthy ESB that is a nice American nod to the style. Extra special bitters (ESB) range from golden to brown in color and are around 4.5-6% in alcohol. They feature accents of hop aromas and, despite their name, are characterized by non-bitter, fruity flavors. Of the three bitter styles, ESBs are the most malty and highest in alcohol. Bitters originated as English specialties, though they are now widely-emulated in North America, sometimes with domestically-grown hops imparting a more assertive character than in traditional English takes on the style. 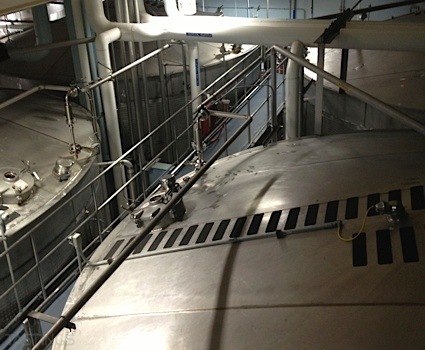 Noteworthy examples of this style include: Fuller’s Original ESB, Moylan’s Extra Special Bitter, Left Hand Sawtooth Ale and Rogue XS Imperial Younger’s Special Bitter. Argus Brewery Bloodshot Red E.S.B. 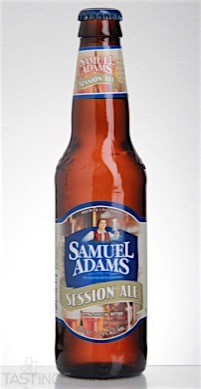 Samuel Adams Session Ale rating was calculated by tastings.com to be 93 points out of 100 on 3/23/2016. Please note that MSRP may have changed since the date of our review.